Is there anything more romantic than cosying up with your loved one by the fireplace in a mountain lodge? We don’t think so. Check out these incredible mountain lodge retreats in Canada, each perfect for a winter weekend getaway. 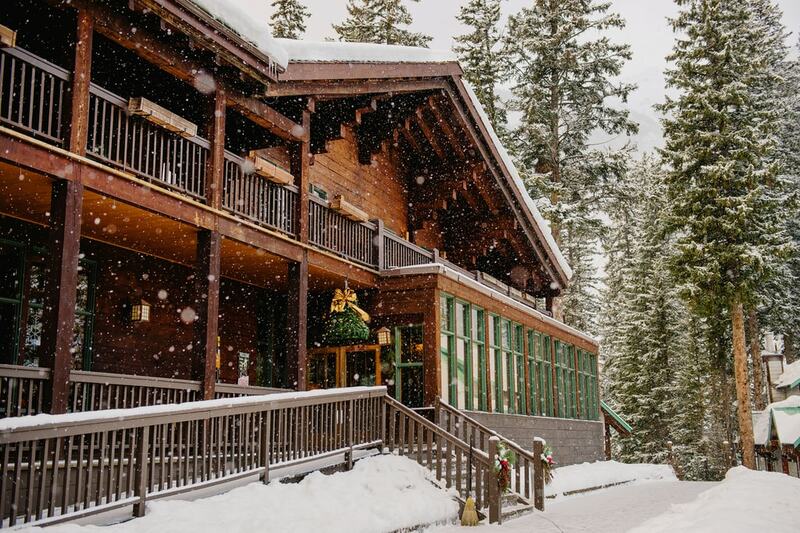 Surrounded by Rocky Mountain peaks in Yoho National Park, and located on its namesake lake, the award-winning Emerald Lake Lodge is a beautiful retreat in winter. Its cosy rooms and suites include wood-burning fireplaces, sitting rooms and balconies. The lodge is home to the Mount Burgess Dining Room and Kicking Horse Lounge, which has a selection of over 400 local, national and international wines. Spend your time relaxing or exploring the impressive Rockies. Wellbeing, pleasure, and tranquility are the key words used to describe the experience at Auberge de Montagne des Chic-Chocs. The lodge is located within Matane Wildlife Reserve, which means guests have an unbelievable natural playground to enjoy. Winter activities include hok skiing (a cross between snowshoeing and skiing), splitboarding, ordinary snowshoeing, and alpine touring. There are packages available that include transfers, meals, and equipment. 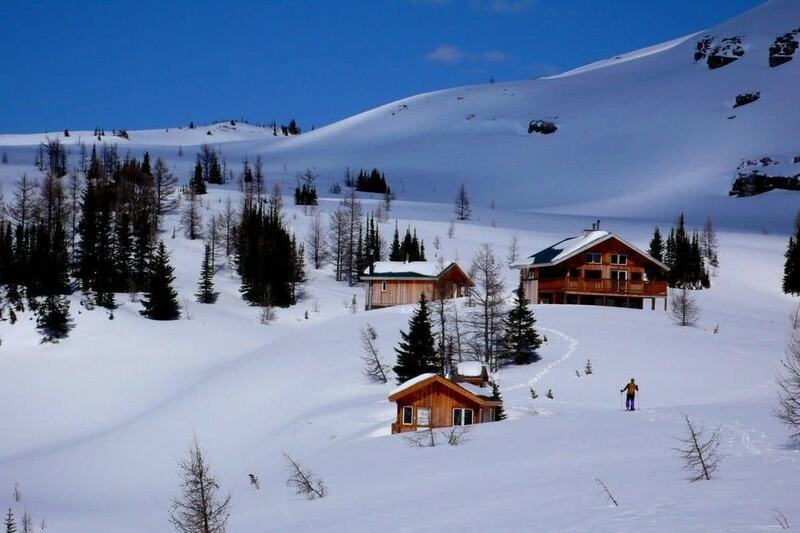 Located in the Monashee Mountains just south of Revelstoke in British Columbia, Sol Mountain Lodge is primarily a backcountry skiing lodge. “Wake up at an elevation of 1,900 meters and step out the door into 30,000 acres of prime BC backcountry skiing.” Its three-storey lodge was built for backcountry skiers by backcountry skiers, so it has everything guests need for a mountain retreat. The experienced owners organise unforgettable tours for the ultimate trip. The family-owned and operated Storm Mountain Lodge is situated in one of Canada’s most visited places — Banff National Park. Its elegant and historic log cabins do not come equipped with modern amenities, such as WiFi, kitchenettes and televisions. All meals can be enjoyed at the lodge’s dining room and lounge, which features an all Canadian menu and wine list. From Storm Mountain Lodge, guests can easily visit Banff, Kootenay and Yoho National Parks. Le Grand Lodge is the perfect mountain lodge base in Mont-Tremblant. For skiers, the lodge offers ski and snowboard storage, a shuttle to the slopes, rentals and repairs at its onsite ski shop and its own après-ski specials in the early evening. There are two restaurants at Le Grand Lodge, a spa, a 20-metre indoor pool and guests can choose between cosy rooms or luxurious suites. Remember, Mont-Tremblant is a great place to visit in winter for non-skiers too. Located in the Canadian Rockies in British Columbia, Talus Lodge is so remote that guests can only access the mountain lodge via helicopter from Canmore, Alberta. With a limit of 12 guests at any time, visitors are guaranteed a peaceful experience at Talus Lodge. Surrounded by Mount Assiniboine and other mountain ranges, the three main winter activities available are cross country skiing, snowshoeing and backcountry skiing. The lodge’s alpine accommodation includes a two-storey main building. Eagle Mountain Lodge has two focuses: world-class salmon fishing and backcountry snowmobiling experiences. The lodge is located in the Long Range Mountains, which are the northernmost part of the Appalachian Mountain range, and borders Gros Morne National Park. The Lodge has eight bedrooms, wrap-around decks, floor-to-ceiling windows, a dining room and a living area with views of Main River and Gros Morne’s mountains. “For those who have a love for adventure and a taste for luxury, Cathedral Mountain Lodge is everything you get away for.” Located in Yoho National Park, and a short drive from Lake Louise, Cathedral Mountain Lodge has both premiere and deluxe cabins available. The lodge, which is perfect for romantic getaways, also has complimentary amenities like a Market Fresh Breakfast, as well as afternoon tea and cookies. The onsite Riverside Dining Room offers organic dishes prepared with fresh, local ingredients.